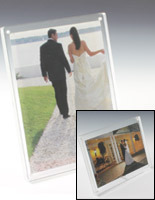 These magnetic photo frames are ideal for merchandising graphics or as a branding block! 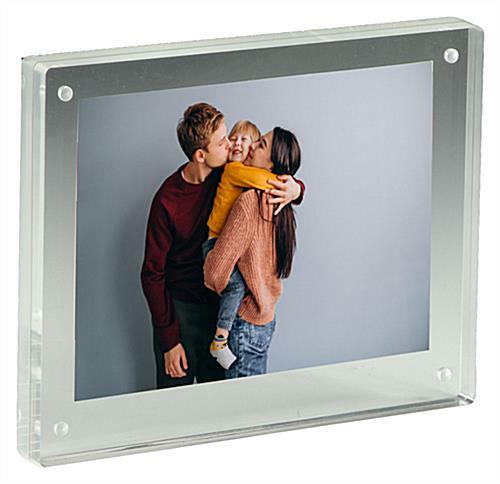 These clear sign holders, magnetic photo frames feature a stylish appearance with super smooth edges, accentuate the graphics easily. 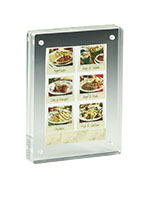 These magnetic photo frames, also known as clear graphic frames, can be used in either portrait or landscape orientation. 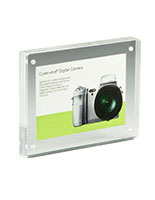 The 4 magnetic pegs of these acrylic photo frames are incredibly strong and hold the photo tightly between the two clear acrylic panels. 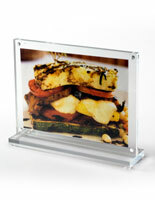 The quality thickness of these acrylic panels gives depth and character to the image. 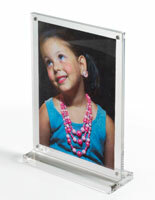 Great product to make any image look expensive! We're so glad to hear these are working so well for you, Bryan! Thanks for shopping with us. 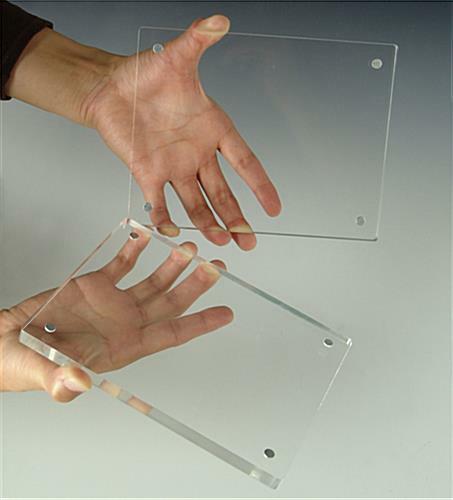 This photo shows another use. It is a great nite lite. Wow, what an awesome idea, Frank! Thanks so much for sharing this with us--we love to see what cool ways our customers use our products. We hope we can work together again soon and see what other creative things you come up with! We are using this to post office hours at our doors. This working great. Very solid structure. Holds the picture in place nicely. Also stands nice. I would recommend this to anyone. I use the picture frame for my company's 5 year award. 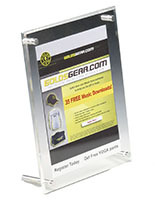 We used to order a custom award, but by printing the certificate myself, and adding a message from our CEO on the back and we save about $14,000 a year using this frame. 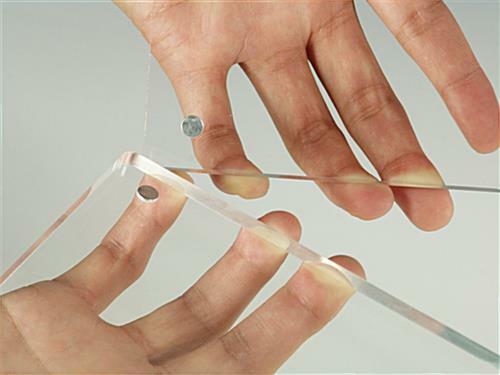 The magnets are strong and the Acrylic fits perfectly flush. No one even notices it can come apart. Well due to not easily found info , I had to send this order back, pay the restock charge and reorder the right size item. 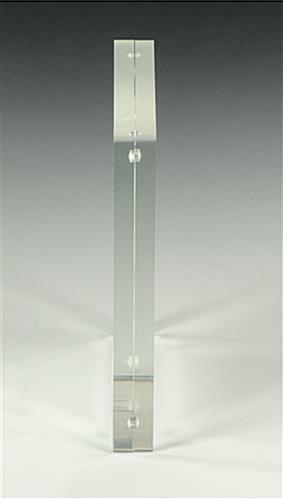 I ordered this item because it was 5x7, but when I received it, it was actually 6x8". 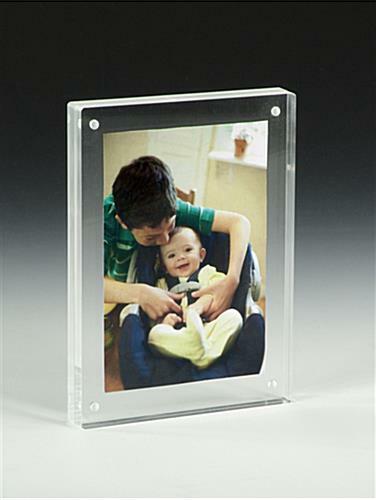 I now have to order the 4x6 which I now know is closer to the 5x7 size. Cost me alot of money and aggrevation. otherwise the product is good quality. We are sorry for the confusion, Martha. A customer service representative will reach out to you shortly to address your issue.